The Free National Lotto Daily Draw, like all of our draws, is free to enter. As we allude to in the name the draw is run every single day and there will always be a winner because we only select the winning numbers from number selections that have been entered by our users that are currently active on the site. 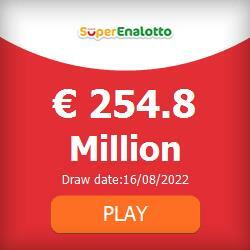 If you’re numbers come up, you simply need to click on the ‘Collect Prize’ button and we will transfer you the money. If no-one claims the prize pool on a particular day, then the prize pool rolls over to the following draw until it is claimed. There is no limit to the number of times a prize pool can roll over.